So it's November already! I love Citrines, what a great birthstone for you November babes out there. 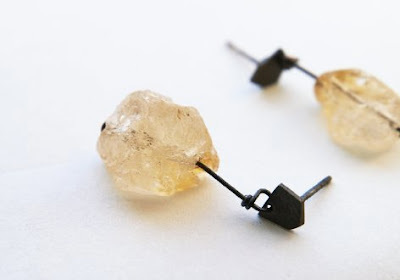 I particularly like the rough texture of these little earrings.